The Community Summit we had last month made it clear that there are dozens of people ready and willing to pitch in to make the WordPress contributor community better: more welcoming, more informed, more empowered, more diverse, more of everything good in the world. 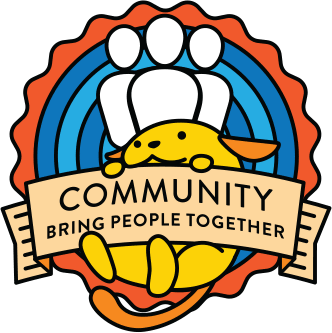 This new contributor group, the community builders, will focus on outreach, mentorship programs, and contributor engagement to make us all the “more”s listed above and then some. There are a number of ideas that are already being talked about or are in various stages of planning or implementation. There are even more ideas that no one has verbalized yet, and some of those will be incredibly cool. To get this group kicked off, people interested in getting involved should leave a comment introducing themselves, identifying their greatest area of interest, and listing any good ideas for things we could do in the mission of the “more”s. A note on timing: starting a big initiative right as the Nov-Dec holidays are starting is a recipe for disaster, so let’s plan to use the coming weeks for introductions, research, brainstorming, and planning, with implementation starting with the new year when people’s attention won’t be so divided. We can figure out which things we want to jump on first and create subcommittees to focus on specific initiatives/programs so that we can make the most progress. Since many if not most of our programs will likely overlap with other contributor groups, we can also use these weeks to help shore up those groups in their efforts to get more organized, better documented, etc before we start bringing in more contributors for them to wrangle. Sound like something you want to be part of? Hit the comments! Welcome Wagon: Have friendly people who reach out to first-time contributors (and/or potentials) and offer encouragement, support, and a reliable point of contact. Follow up after a week, 3 weeks, 3 months, 6 months, a year so we don’t lose track of people who could turn into great contributors with just a little bit of effort on our parts. Mentorship Programs: Formalized time-based mentorship programs in all the contributor groups to pair new/potential contributors with more experienced ones to help grow skills and comfort levels. College Outreach: Reach out to relevant academic departments around the world at every level (Ivy League to Community College or Trade School) and get professors to sponsor WordPress clubs, and to include WordPress exercises as assignments. (These institutions could then also tie in to local meetup groups and provide venues for meetups and WordCamps.) Also, oversee programs like GSoC. Ladies, All the Ladies: Really this item should say Contributor Diversity, but I think starting with increasing the number of women will be the easiest to track, to accomplish, and can then be used as a model for programs to increase diversity in other areas where we need to be proactive (race, geography, income level, etc). School Programs: Once we’ve got the college program going strong, we can extend it to high schools and middle schools. Verticals: WordPress is used by a lot of people in certain verticals that don’t seem to offer up a lot of contributors (academia, journalism, etc). We can do outreach to turn some of these users into contributors. WordPress.org improvements: We can do any number of things to the content on the WordPress.org site to draw in more contributors. An awesome landing page at make.wordpress.org, featuring contributors higher up the chain, creating landing pages/portals for contributor types (developers, designers, etc) that outline areas of opportunity in their disciplines, etc. Stats: We can add infrastructure to get stats on contributions so we can measure progress over time. Partner with Existing Programs: When possible, we should partner with existing organizations and programs that have similar goals and have already worked through some of the process pain points. Professional and academic associations, the Ada Initiative, Open Hatch, and the like would all be great places to start. Events: We could attend/table at events where potential new contributors might be found. This is everything from WordCamps to professional conferences to related meetups in our own towns. Like a lot of people, I could go on all day with ideas for things we could do, but I’ll leave off here. Can’t wait to see some of the ideas other people come up with! holy crap. this is an amazing list! i’d love to help with any college and school initiatives… omg, i’m drooling. https://buddypress.org/2012/12/re-thinking-college-admissions-with-buddypress/ <~~~ this is pretty darn neat. (i wish i could start a new thread). I already did an informal poll on twitter asking people what stopped them from contributing and am compiling result, which are anonymus. I had invited people to send responses privately if they felt so inclined and some did. And if you’re going to make me pick a team and stick to one only, I would much rather do this. It does overlap into some of the other teams though. Hello, it’s Mario here. I’m a WordPress engineer, spent several years in the WordPress ecosystem, doing theme/framework/plugin development, consulting, support and training activities. The highest level of impact from me would be helping in the training department, helping with event coordination and any extra Q&A/dev help over the WPORG site. I have had training courses and seminars on WordPress for high school students, university students and ‘grown ups’ and I would be happy to proceed further as a part of the group. Hi Mario. You might want to check out the new training contributor group that is also just getting started. It sounds exactly like what you are describing. See https://make.wordpress.org/training for more info. I’ve already commented everywhere I was able to there, thanks for the directions, Jane. I’m not a contributor but I’ve been on the bench for a long time. I pretend to be in the UI group meaning I’ve read and watched what’s going on. At some point I’m sure I’ll jump in. I’ve helped plan WordCamp Birmingham last year and plan on being a major part this year. I loved being able to meet all kinds of people within the community and I would love to help further that cause. IMHO, WordPress has been so successful because of the community that has been built around it. I mean it’s almost fanatical. I want to be apart of that and I’ll be thinking of ideas to keep moving that forward. I’m one of the people who answered Andrea, time is my biggest sticking point, plus not knowing what I can actually do. But as a female developer championing wordpress (I was at a bloggers conference in UK last week doing precisely that) I figure it’s time I put something back in. I love this group! Like Andrea (and also half the Community Summit, but she’s the first one who spoke up here), I already do a lot of talking up community involvement as part of my normal way of doing things, and I’m really looking forward to seeing what happens when all the enthusiasm I see everywhere in the WP community gets focused. I’m particularly interested in building (really, lighting) paths for strong users to become and remain contributors, whatever their skill areas. I talk to a lot of people who don’t know where to start, or don’t think their skills are enough, or who are building new skills but don’t know how to make abstract learning into something useful for the community. I did a talk at WordCamp Raleigh a couple of weeks ago on that subject, and had some great responses — but the next time I give the same talk, I want it to be less cheerleading and more “here are concrete things we’ve made to help you get involved”. I’m an AdaCamp alum, I’ve worked with WordPress in higher ed, and I’m a longtime watcher of whatever other projects to do encourage new contributors; I’m not even remotely averse to stealing ideas from any and all of these areas. Catia mentioned this over on the WPCS blog, and it seems very much in line with this group. GNOME has a mentorship program similar to GSOC, but targeted for women. It looks like the current round is already taking student applications, but it would be great to get WP on the list of projects for the next round — it looks like they run a new group of internships every 6 months. Yes, I’ve looked into us joining gnome before. Honestly, we need to get our act together before we get involved in a program that asks the interns to give 40 hours/week in exchange for 5k. We have done it with gsoc, but we don’t do a great job of it. When we do our first diversity partnership, we need to make sure we are ready with our materials and mentors so that we knock it out of the park. In the meantime, we can start with our own smaller mentorship program based on fewer hours and volunteerism. The paid internships have not really worked out that great for us, truth be told. Agreed, I got excited with the idea of it happening very soon, but you’re right. We can’t do that right in such a hurry. It takes time. But let’s do it 🙂 I’m all in for it! Welcome Wagon, since I sort of do that already, I’m good at helping things happen. College Outereach – our WordCamps here, execpt for the first, all happened on Universities’ campi. WordCamp São Paulo this year happened at PUC and they are interested in WordPress courses. I think this is a great idea. From my experience organizing WordCamps, I’ve learned that it’s very hard to find the venue. Universities are very suitable because they have all the structure we need (wifi, auditoriuns, etc) and if everything goes fine, they probably will welcome us back the next year. If we can make this connection with them stronger, it’s perfect! International exchange program – certainly this is the kind of thing that would help increase diversity. We could start a group of WordPress businesses who would be intrested in taking international interns? This group is primarily charged with growing diversity in the contributor community (vs the private sector). The idea of international internships is interesting, but we would probably want to start by doing something like that with the contributor groups. Aside from being outside the scope of this group (at least for now/initially), getting into an intern matching service for private businesses could cause some liability issues if anything were to go wrong. I like the idea of doing something around international connections in general, though. Hey, I’m Marko Heijnen and I’m from The Netherlands. I would love to participate in this group. One of the things I do already is the Welcome Wagon. Helping people from The Netherlands contributing and so far it goes pretty well. Mentorship fits this too. I do agree Cátia that we do need an international exchange program and I don’t think this is out of scope. I see that one of the biggest issues in WordPress is that most of the influential contributors are from the states what creates a border for others living in other time zones.